Fails to connect your Uno board with Windows computer? Don’t panic. This post is going to walk you through how to fix it easily. 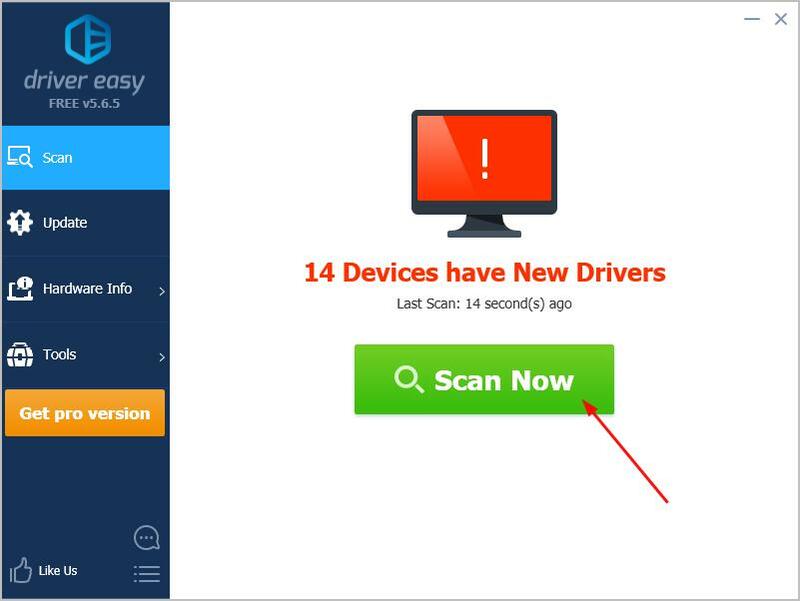 You’ll need some computer skills and patience to update your drivers this way, because you need to find exactly the right the driver online, download it and install it step by step. The screenshots below are from Windows 10, but the steps are also valid for other Windows system. Go to the official Arduino website. Then go to the Software Downloads section. Click Windows Installer, for Windows XP and up. Click Just Download. 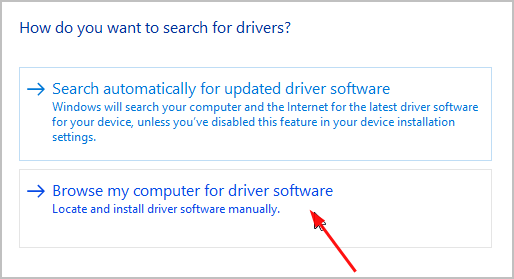 The driver .exe installation file would then be downloaded automatically. On your keyboard, hold down the Windows logo key and then press Pause. Find and right-click your Arduino Uno software. Probably it’s listed under the Other devices section due to the problem. Then select Update driver. Click the Browse… icon. 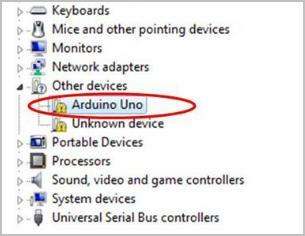 Another window appears: go to the folder with the Arduino uno driver that you just downloaded. Select the drivers folder, then OK > Next. If you’re prompted by the message that the board has not passed Windows Logo testing, click Continue Anyway. The Arduino Uno drivers should then be completely installed on your compouter. 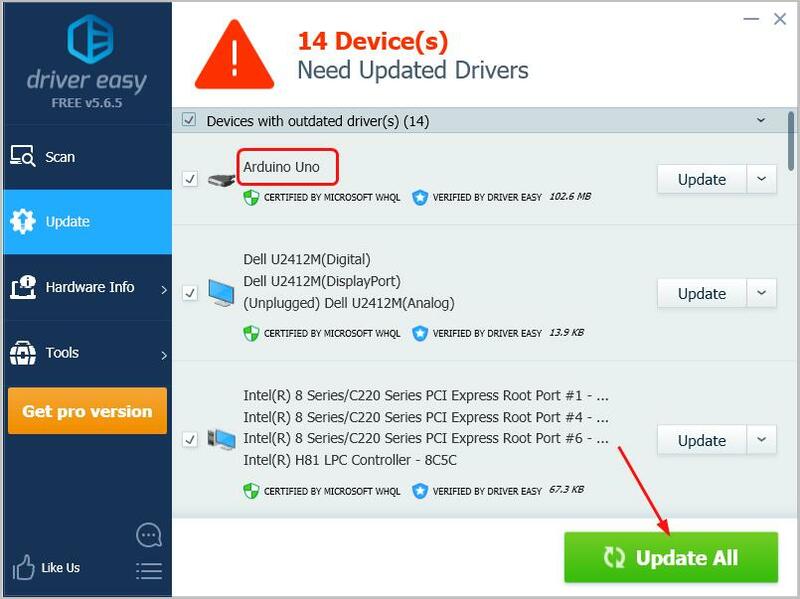 If you don’t have the time, patience or computer skills to update your Arduino Uno driver manually, you can do it automatically with Driver Easy. Move onto Option 2 then. That’s it. Your Uno board should be connected to your Windows computer successfully now. Feel free to comment below if you have any questions.